I missed my nephew Brandon, so much during the summer so I decided to treat him and his dad, my younger brother Florante, to spend sometime with me. It was a post celebration of Brandon's 5th birthday. We went to the summer capital of the Philippines - Baguio City. It was a group escapade. We went there with my friends - Irene and Allan. It was an unforgettable vacation to say the least. I'll be posting about that vacation sometime soon. 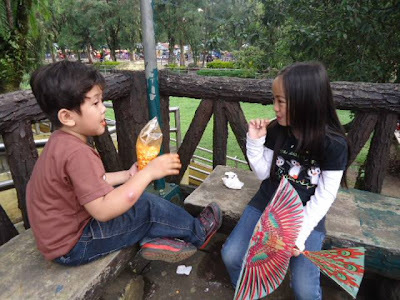 During our vacation in Baguio, Brandon met pretty girl Yana. She's my friend's daughter. 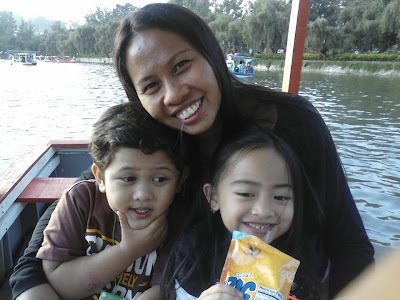 My nephew was too fond of her that even until now, he can hardly forget Yana. He keeps telling me over the phone whenever I had the chance to call, that we are going back to Baguio City to see his Yana. LOL! And just 2 days ago, since my brother arrived back here in Manila, he told me about an incident at school with Brandon. My brother said he was surprised with Brandon's reaction. My brother was quite puzzled with the little guys reaction. When he saw what surprised Brandon, he was already getting amused. A classmate of Brandon looked exactly like Yana! The problem is, he's a boy! Haha! 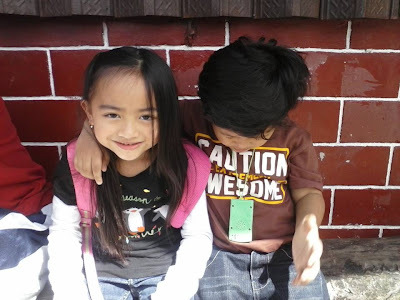 Brandon already understood that his classmate isn't his Yana. I know as he grow up to be a young man, he will meet more pretty girls and maybe break their hearts (or maybe the girls will break his heart). But he still has a long way to go before he will truly experience falling in love.